Coverage of our OLYMPIC ATHLETE Event! In our 3 years of operation, we always dreamed of a moment like one that happened earlier this month with help from our friends at Nike. 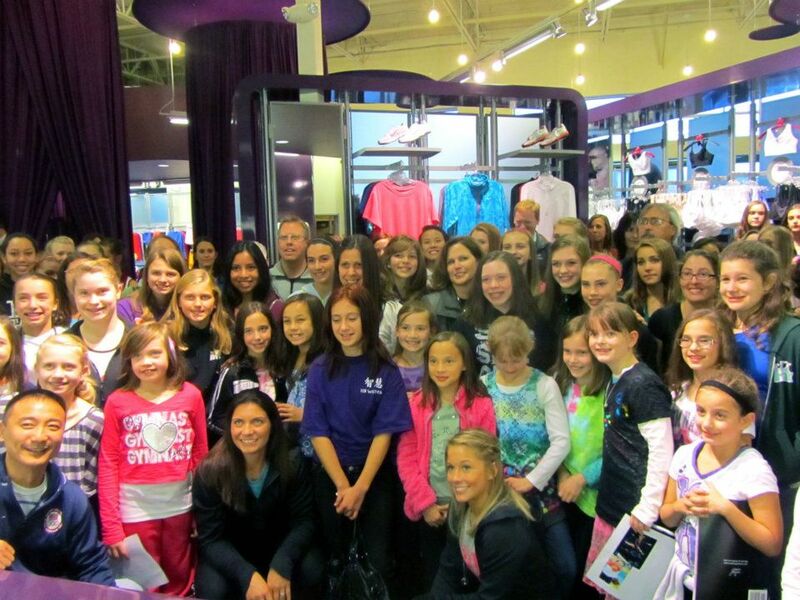 On November 1st, 250 female athletes of all ages (and a few men too) lined up outside of our store for a special meet and greet with Olympic Athletes Shawn Johnson and Misty May Treanor. A truly once-in-a-lifetime experience for some of our customers meet their sports heroes and recognize the importance of GIRLS PLAYING SPORTS! We're still hearing from customers how meaningful it was to them and their daughters. With some BIG support from Nike (they LOVE our store! 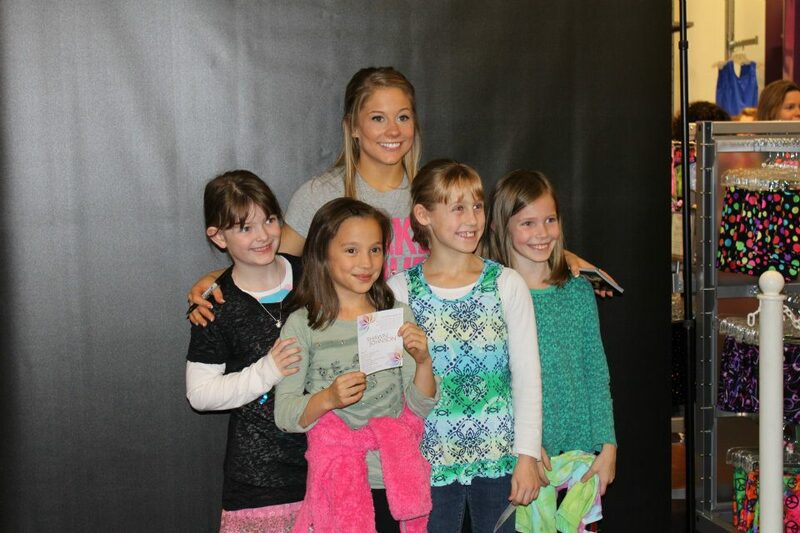 ), they brought Misty May and Shawn in for a chance to answer questions about their lives as a professional Beach Volleyball Player and Olympian (Misty May), and professional gymnast, Olympian, and Dancing With The Stars Winner (Shawn Johnson), sign autographs, and take pictures with all 250 attendees!! Misty May and Shawn LOVED Aries Apparel (Misty May flipped out when she saw the Funkadelic spandex shorts!) 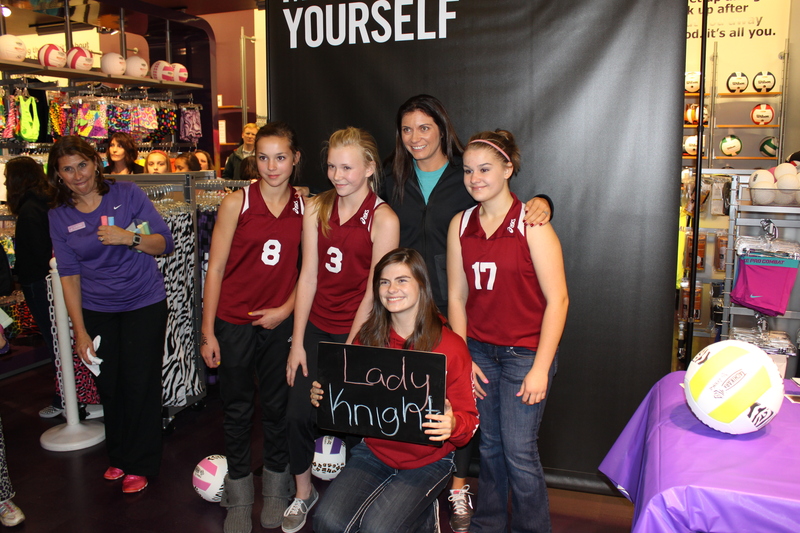 and several times over were gushing about how amazing it is that there is now a sports store just for GIRLS! What a concept, huh? It was so fun to see so many of our customers beaming at their moment to meet the athletes, some of them so nervous they could not speak when it was their turn. During the Question and Answer portion of the night, the athletes were asked questions about anything from how often they train to what type of ice cream they like. And.....Misty May how DO you keep those itty bitty bikini bottoms on? Very special moment for everyone! That night we offered a discount to all our guests and we sold lots of our amazing Nike Fitness product as well volleyball and dance apparel and accessories. Our sparkly headbands were no surprise flying off of the rack--I think every girl buying at least one or two to wear in their next competition. All our guests were thrilled to walk away with goody bags at the end of the night too. Some quotes from the night that we love: "I can't believe I got a picture with Misty May! She is my favorite athlete!" "This event was so cool. Girls never get cool events like this. It's usually only the boys." "It was great hearing the athletes talk about their personal experiences. My daughter and I really enjoyed the event!" At the end of the evening we were all beaming with pride at the phenomenal opportunity to have two of the world's best and most-recognized female athletes who embody the Aries Apparel philosophy in our store empowering female athletes of all ages to pursue their dreams. Such great role models. What an honor.